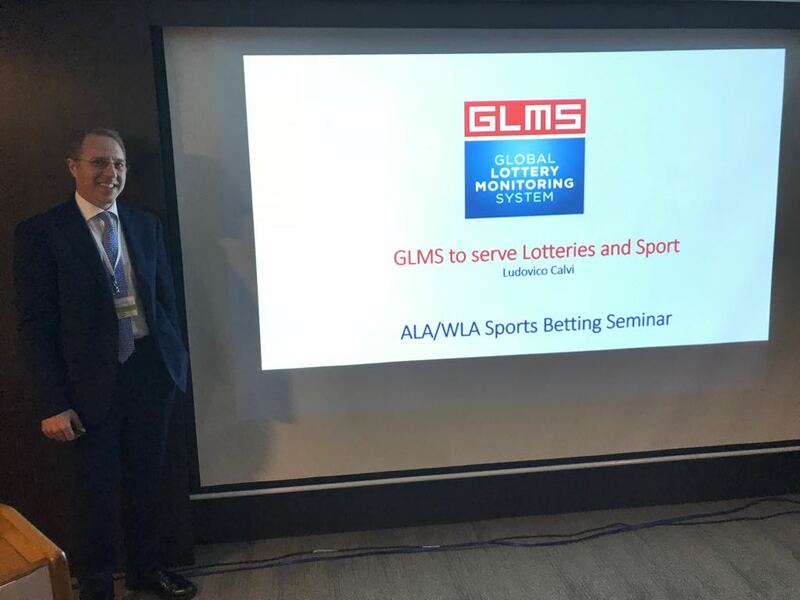 GLMS services presented at the ALA Seminar on Sports Betting. 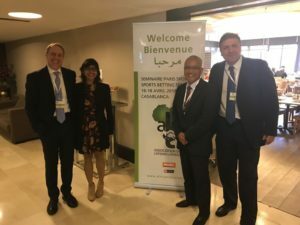 On 16-18 April 2018 the African Lottery Association (ALA) hosted in Casablanca its Sports Betting Seminar which attracted more than 100 delegates mainly coming from Lotteries in Africa. 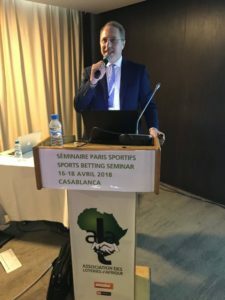 The delegates had the chance to listen to presentations from high level speakers, representing the betting sector, the Council of Europe and the International Olympic Committee.GLMS President, Ludovico Calvi, delivered a presentation on the recent achievements of the GLMS, and notably the new services of GLMS towards its Members, encouraging Lotteries from the African continent to join the association and benefit from the new monitoring platfform.GLMS provides to its members Monitoring, Reporting and Messaging services through the 2 operational hubs in Denmark and Hong Kong, education and prevention tools and a solid information and intelligence network.Along with GLMS General Secretary, Giancarlo Sergi, Ludovico had also the chance to discuss with current GLMS Members from Africa, guide them through the GLMS operations and receive their feedback as well.Friedrich Martens, the IOC representative, presented the overall situation of the prevention of the manipulation of competitions, while Keep Crime out of Sport Project (KCOOS+) Project Manager, Cassandra Fernandes, had the chance to highlight the significance of the Council of Europe Convention on the Manipulation of Sport Competitions and called upon African states to proceed to its ratification.A follow-up meeting with some African Lotteries was organised right after GLMS presentation. 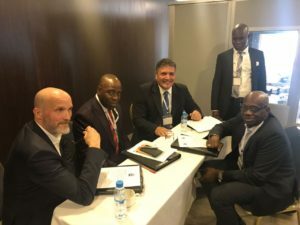 Ludovico Calvi and Giancarlo Sergi had the possibility to share the membership benefits to the audience.